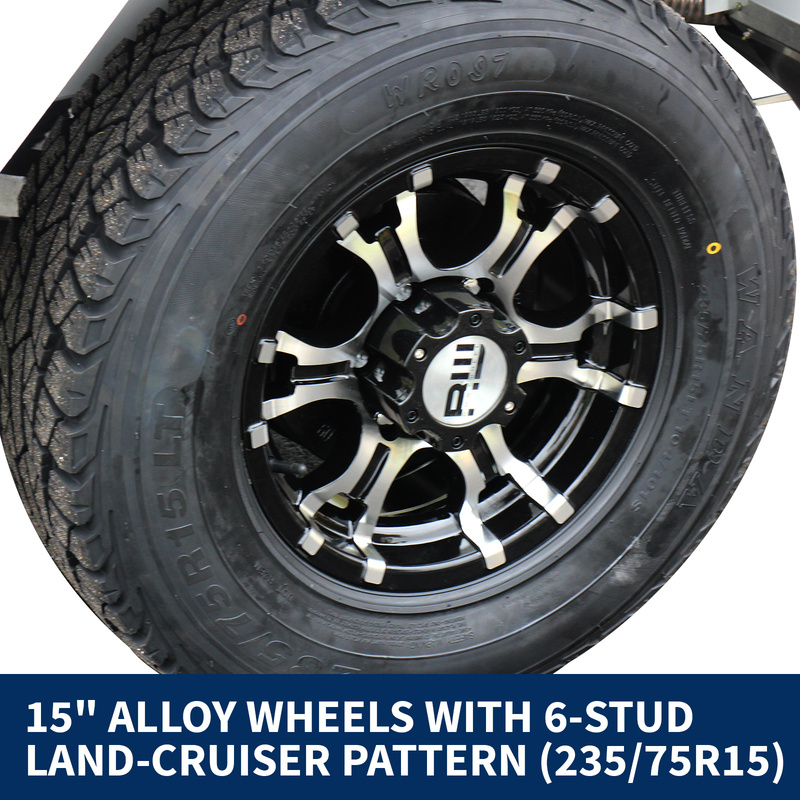 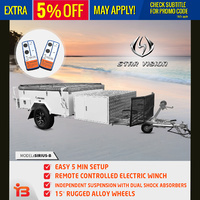 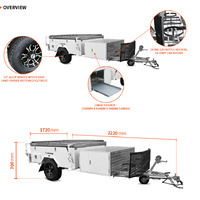 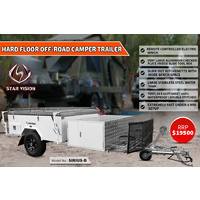 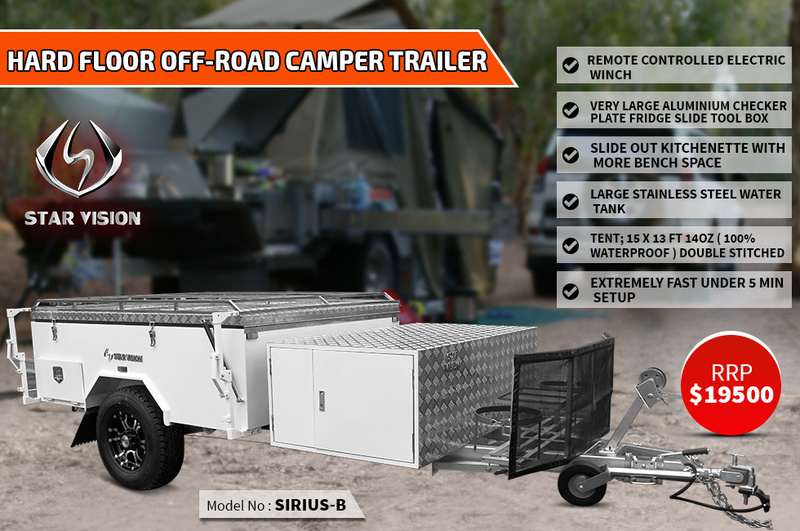 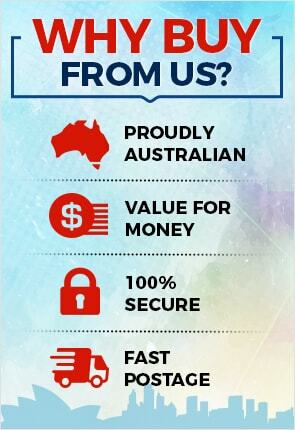 Introducing new off-road hard floor Star Vision Xplorer Camper Trailer, they are made from durable materials to specifically suit the Australian environment and exclusively crafted for the Aussie market. 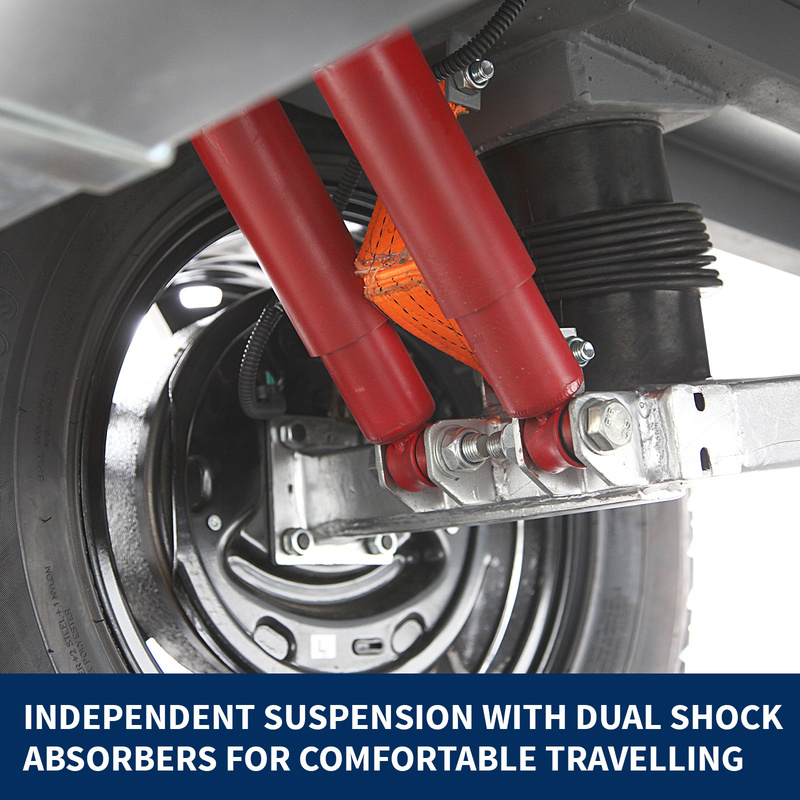 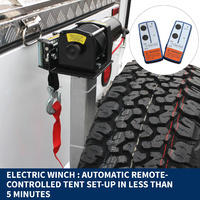 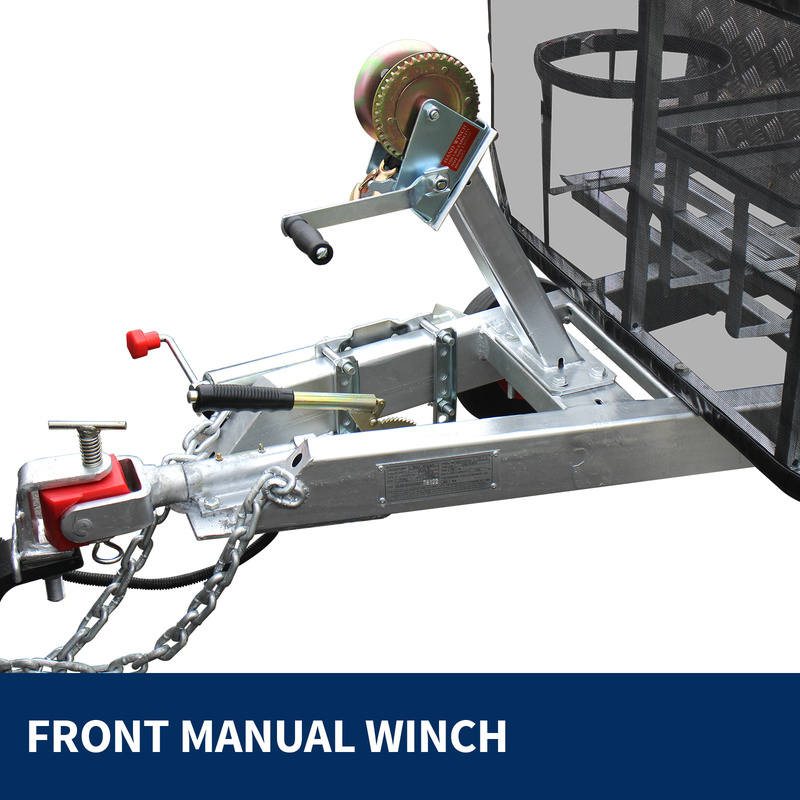 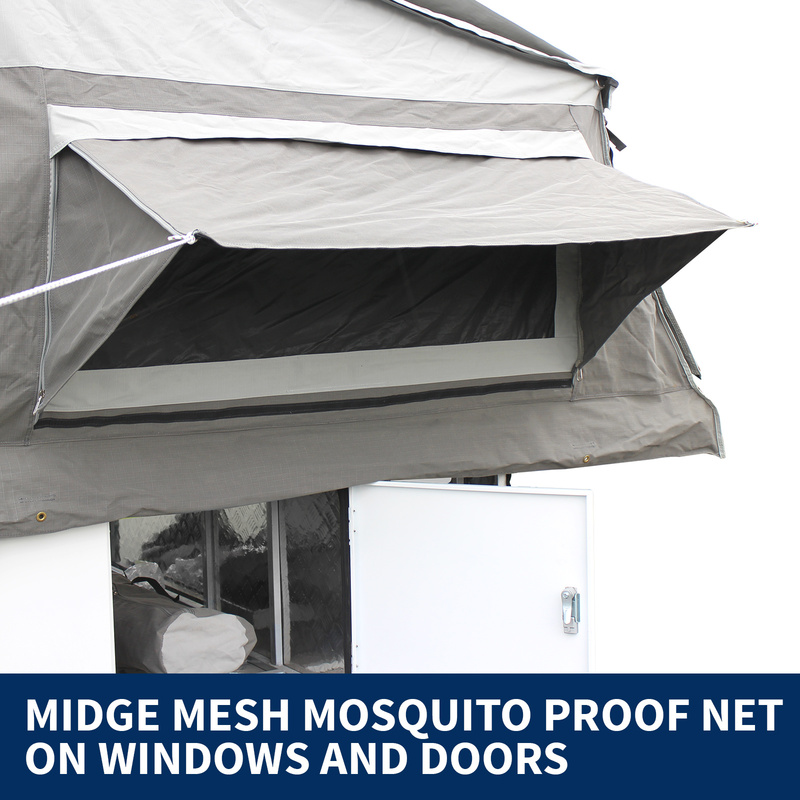 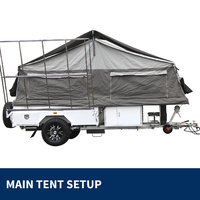 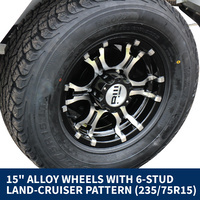 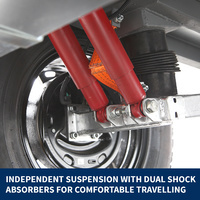 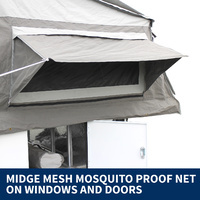 To make sure that the trailer will suit even to the most challenging situations, the campers have been tested in the toughest conditions across Australia. 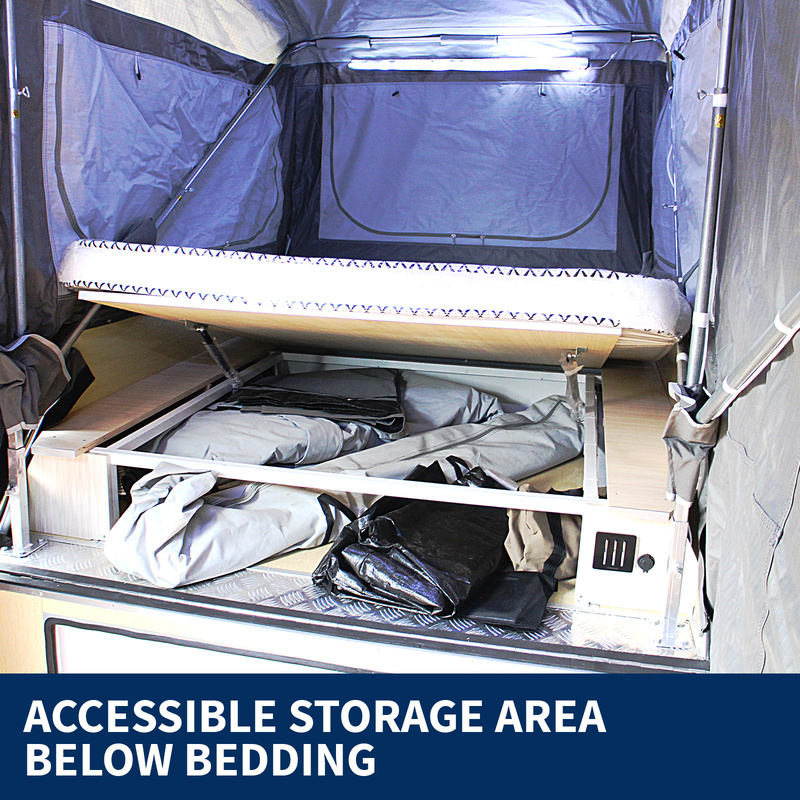 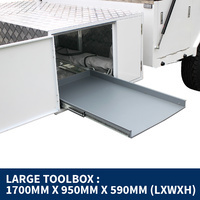 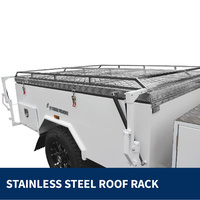 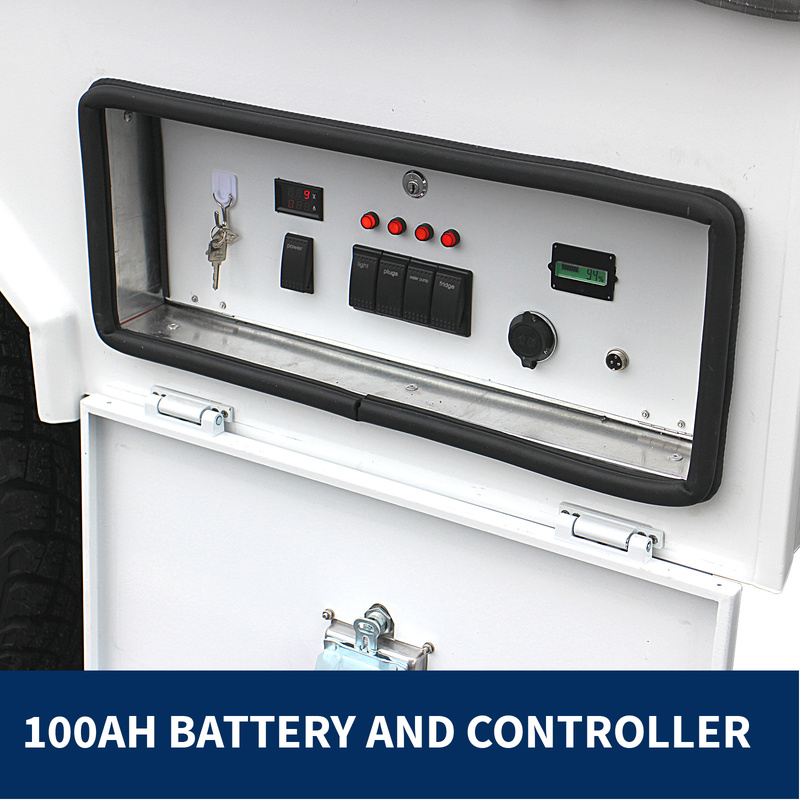 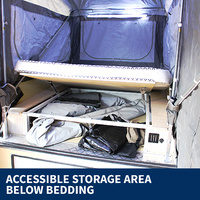 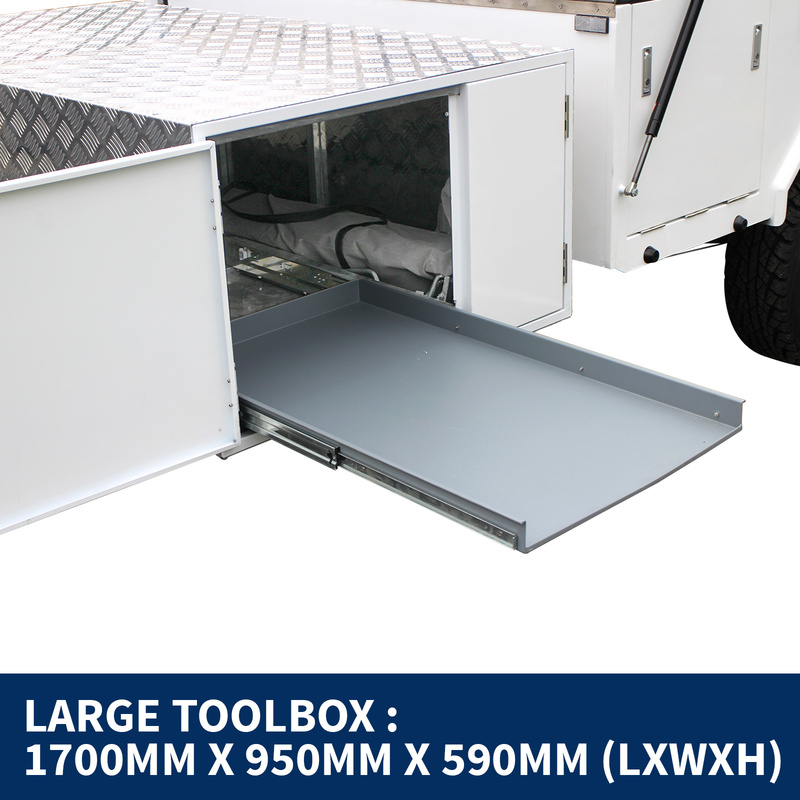 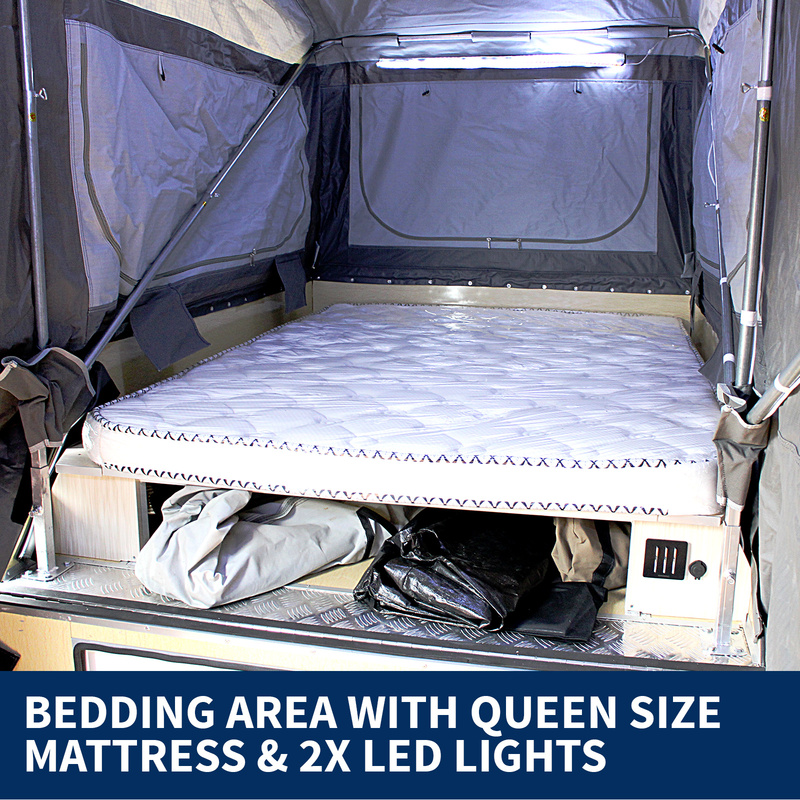 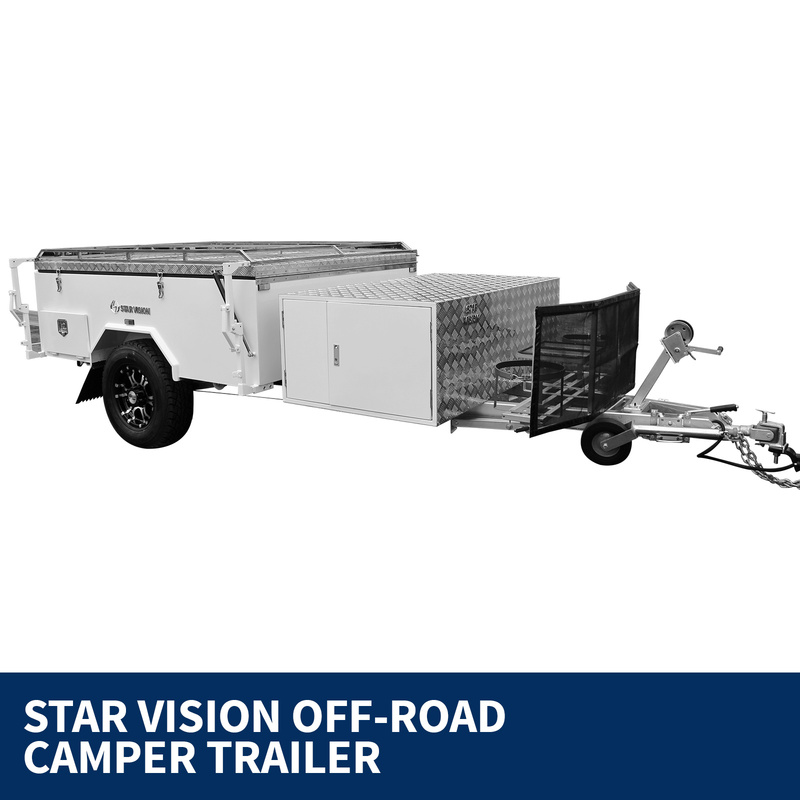 This Star Vision Xplorer Camper Trailer exhibits a high-quality finish with a hot-dip galvanised frame and aluminium body; comes with bedding area (mattress size - 202 cm X 165 cm) and 2 X LED lights installed for bedding area with a switch for your comfort. 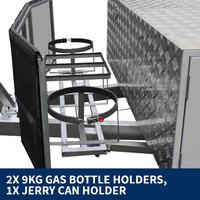 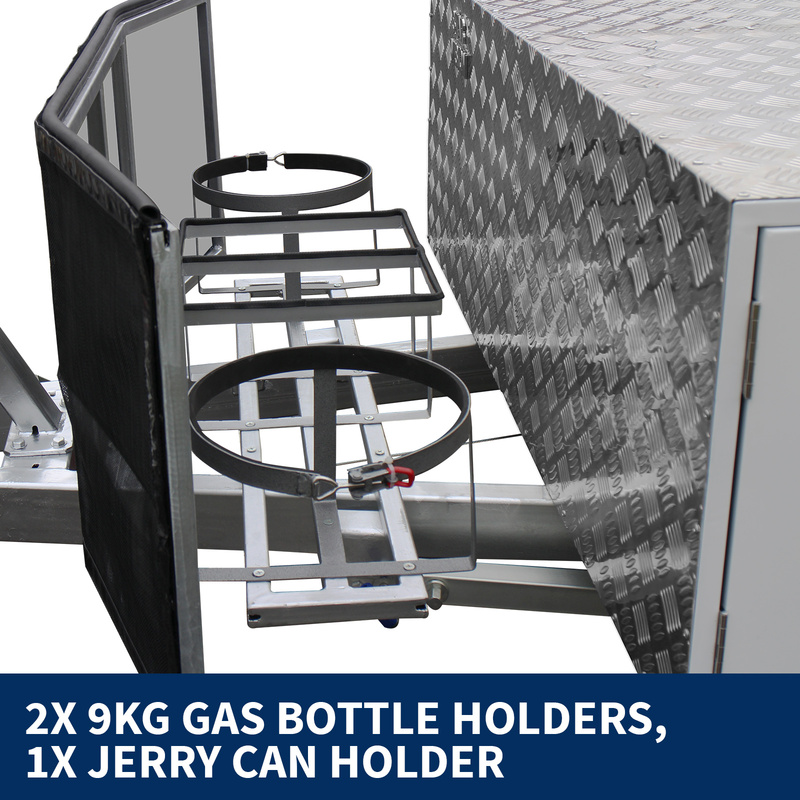 It also has 2 x Gas bottle holders and 1 x Jerry can holder. 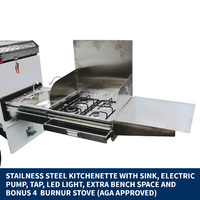 Lockable slide-out kitchenette with electric tap and 4-burner stove as a FREE GIFT! 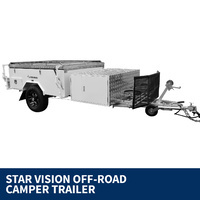 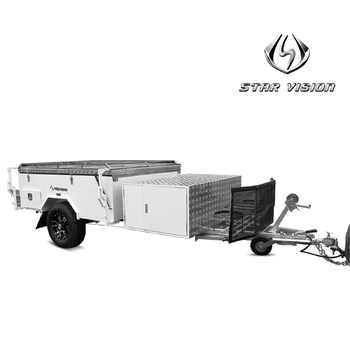 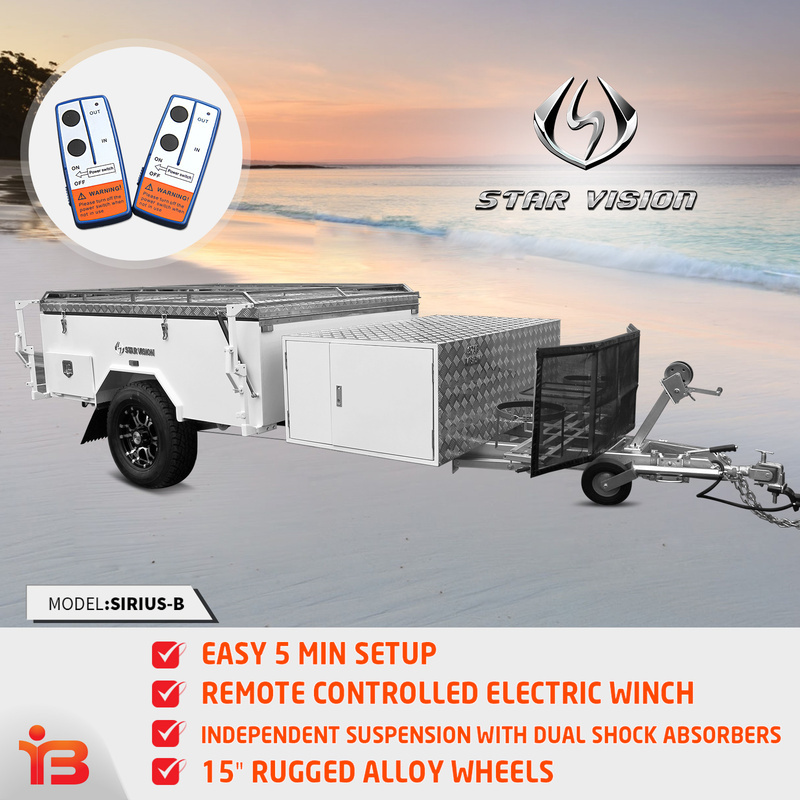 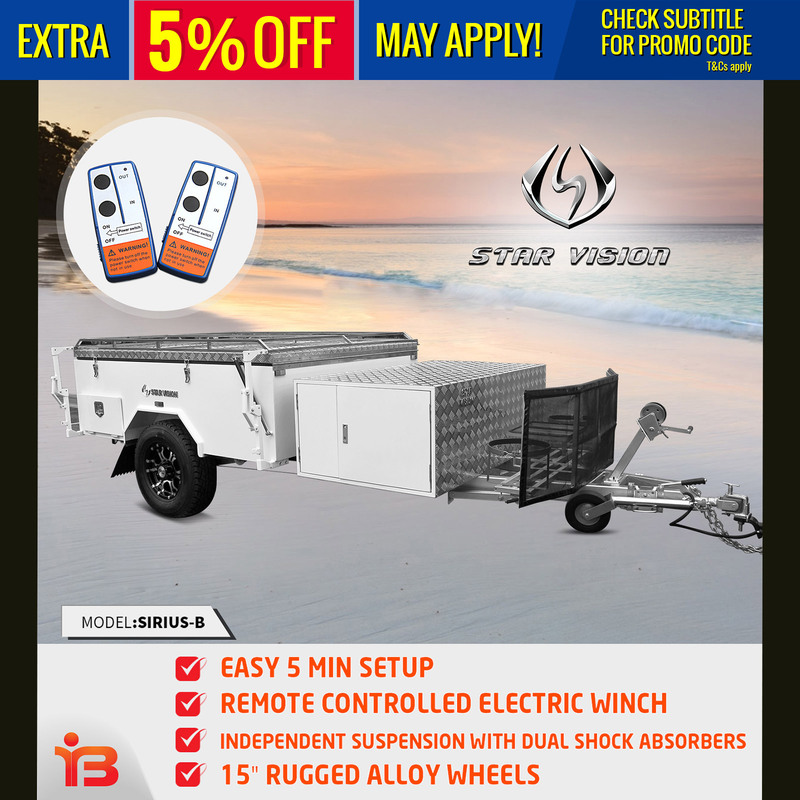 The Star Vision Xplorer Camper Trailer comes with independent suspension which is stronger & more reliable, control & handling can be safer, rides can be less bumpy & more comfy for off-road travelling.